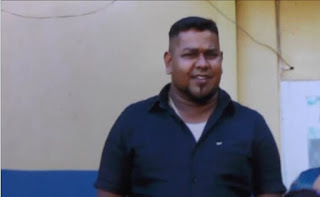 Ajantha Pushpakumara Biyagama, a ring leader of a gang which has allegedlyc carried out multiple robberies over the past three years was arrested today. Ajantha was reported to have been abducted in a white van in Ipologama, Anuradhapura on Sunday, April 9. Two police teams were dispatched to conduct investigations on IGP’s advice, after his wife lodged a complaint with the Ipologama Police regarding the incident. During the investigations, police had come across several eye-witnesses who had seen Ajantha consuming alcohol with his purported abductors. The investigations eventually led to the arrest of Ajantha Pushpakumara and another member of his gang. They were arrested while hiding in Nochchiyagama. When reports first emerged of the abduction, police suspected that the abduction may have been orchestrated by the suspect himself. The gang of Ajantha Pushpakumara has reportedly committed a number of heists in and around Anuradhapura and had even resorted to scamming the general public.